Kevin Clague is a Senior Principal Hardware Engineer at Oracle Corporation. He is also the head coach for Eagan Minnesota’s FIRST Tech Challenge teams. Kevin has been an avid LEGO fan since the introduction of the Robot Invention System (MINDSTORMS RCX), and helped develop the MINDSTORMS NXT product as part of the MINDSTORMS Users Program. Kevin is the author of LPub, an LDraw Publishing tool that produces LEGO-style building instructions, as well as LSynth. 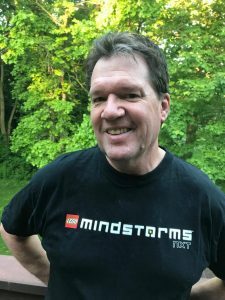 Kevin has written three books on LEGO robotics and one on the LDraw family of CAD tools. In his spare time, Kevin enjoys theatrical lighting design as creative outlet where he can use the creative and logical halves of his brain at the same time. I played with some LEGO as a child. I had some classic bricks, and some of the original technic gears. As an adult, I saw the first LEGO MINDSTORMS product in the store. I bought myself a Dark Side Developer’s Kit and was hooked. I then bought a MINDSTORMS Robot Invention System. My first goal was to make a two-legged walker. I struggled for a few weeks with the physics and then decided to model my first MOC after a penguin, which has low center of gravity, decreasing the risk of falling. I then followed that up with an RCX-based walking Star Wars AT-ST biped. I guess I’m most proud of my four books. The first book was titled “10 Cool LEGO Mindstorms: Dark Side Robots”. 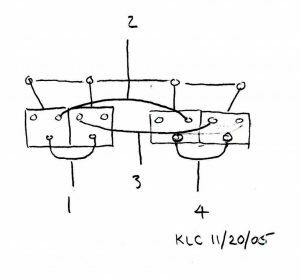 I invented four of the ten robots, including three bipeds and one hexapod. The second book was “10 Cool LEGO Mindstorms Ultimate Builders Projects”, containing models based on RIS. Next, Syngress wanted me to co-author a book on the LDraw family of CAD tools. That book was a much larger effort. Besides providing the publishing tools for the first two books, the books themselves had little written language and were mostly building instructions. “LEGO Software Power Tools” was written to teach people CAD, which is a highly technical thing to describe. My most recent book is “LEGO Mindstorms Masterpieces”, where I got to use whatever parts LEGO made. 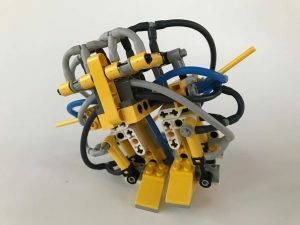 By this time I had discovered LEGO pneumatics, which allowed me to apply some of the things I learned on computer engineering classes in college to making LEGO inventions. I’m very interested in making walking and crawling creatures, so I get my inspiration from nature. 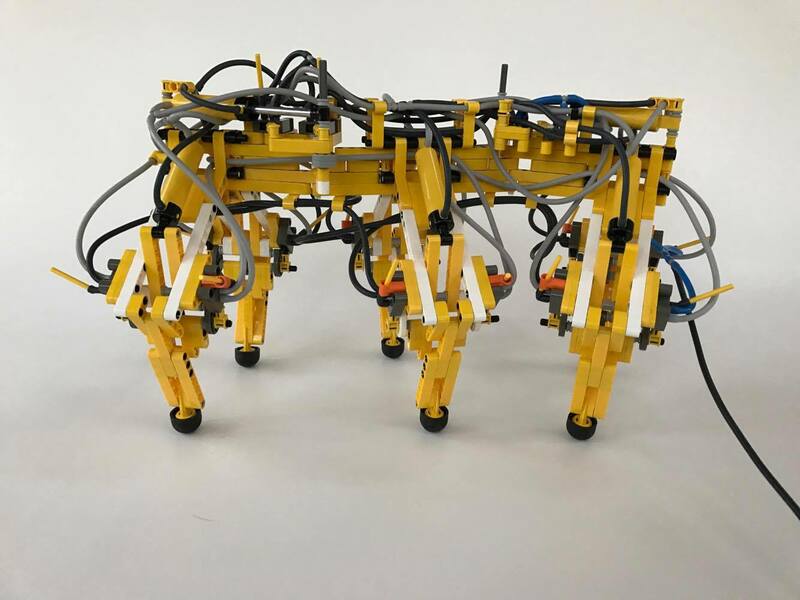 I’ve invented 2-, 4-, 5-, 6-, and 8-legged walkers, as well as over a dozen forms of inchworm, all using only LEGO pneumatics. I even have an inchworm that can crawl backwards and forwards. I also made a quadruped that can walk forwards, backwards and turn right and left. 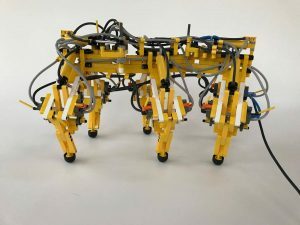 I’ve made 2- and 6-legged walkers using MINDSTORMS. I’ve also made a number of bipeds just using technic motors, gears and battery packs. I think my cutest walker is a tiny walker based on the micro-motor. You can get building instructions for a similar walker. My silliest walker is a variation on the micro-motor walker, Dark Helmet. It is a tiny walker that fits inside Darth Vader’s helmet. Typically many iterations are required to get the result. This pneumatic biped was the second draft. The first one only used switches on one leg, and it limped. Building instructions are available for this project. This inchworm is the twelfth in a series of pneumatic inchworms. 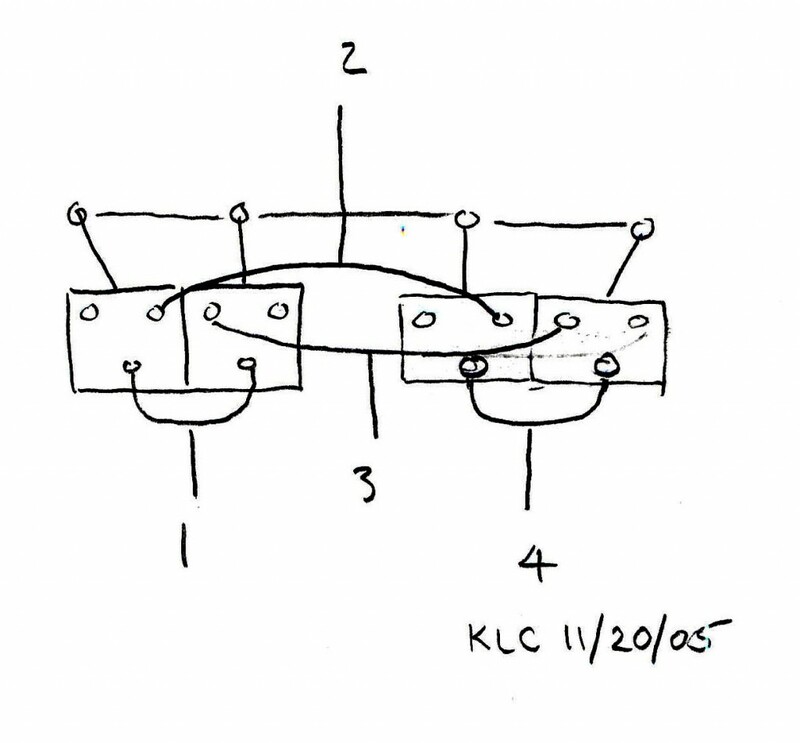 I document much of my work using LDraw, LPub and LSynth. What LEGO has helped me realize is that I like to teach. I enjoy finding ways to explain complicated things in simple terms. 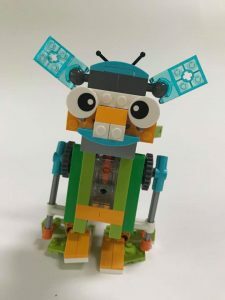 In the last month I made building instructions for WeDo 2.0 based bipeds WeWalk 2.0 and WeWalk 2.1. Here are the WeWalk2.1 Build Instructions. Failure is an essential part of the creative process. I feel I learn much more from my failures than from my successes. I revel in my successes, but I analyze my failures. I typically start with a particular goal in mind, and see if I can achieve it. Then I try to figure out how to make it better. For me, the success is in the learning, not just in the final process. The thing that I think is most valuable to society about LEGO inspiring kids to make robots, is that the kids learn about mechanics. With LEGO robotics, kids can experiment and learn about mechanical mechanisms in ways that is even better than when I was a kid. That’s a hard question, because LEGO allows such diversity. Some people like making wheeled vehicles, most don’t think about making walkers. Six legged walkers can always have three legs on the ground, like this, which means on a level surface, it won’t fall down. With four and two legged walkers, its not so easy. With any robot, we have to make assumptions to make things easier to achieve. My walkers have no sense of balance, so if put on a slope, they’ll probably fall down, even though on a horizontal surface they do fine. 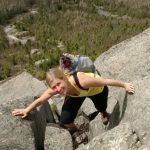 So I guess my challenge is, once you’ve achieved your goal, whatever it is, think about the decisions you made about simplifying the challenge, and make it achievable. Then throw away some of the simplifications, and try to solve the harder problem. Alternatively think about a different way to solve the same challenge. J.P. Brown was the first Adult Fan of LEGO that I ever met. He’s the one who told me about LEGO pneumatics and then told me I could not do boolean logic with it because LEGO didn’t have the right kind of switches. J.P. went on to make the very first Mindstorms based Rubik’s Cube Solver. Steve Hassenplug is one of the most clever mechanical builders I’ve ever met. He invented the first two-wheeled balancer, mimicking a Segway. Steve is also the one that invented the Great Ball Contraption, and Monster Chess. Joe Nagata was a walker inventor, and I got lots of inspiration from his work. These days, Yoshihito Isogawa is one of my favorites. 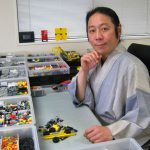 He is so productive and makes wonderfully simple and creative examples of mechanical concepts. He is inspirational. I really appreciate the work Marc-André Bazergui does with his 3D printing. What’s your favourite example of using a piece in a way other than how it was originally intended? Pneumatics. LEGO always has the kids flip the switches using their hands. I have the pistons flip switches, that control pistons that flip switches. With that you make asynchronous state machines (computer logic) out of a marvelous children’s toy called LEGO. I have bookshelves for some of my My Own Creations (MOCs), and other MOCs are stored in plastic tubs. For the parts I use to build new MOCs, I have parts sorted by part number, and then if I have too many of a part number, I sort by color. 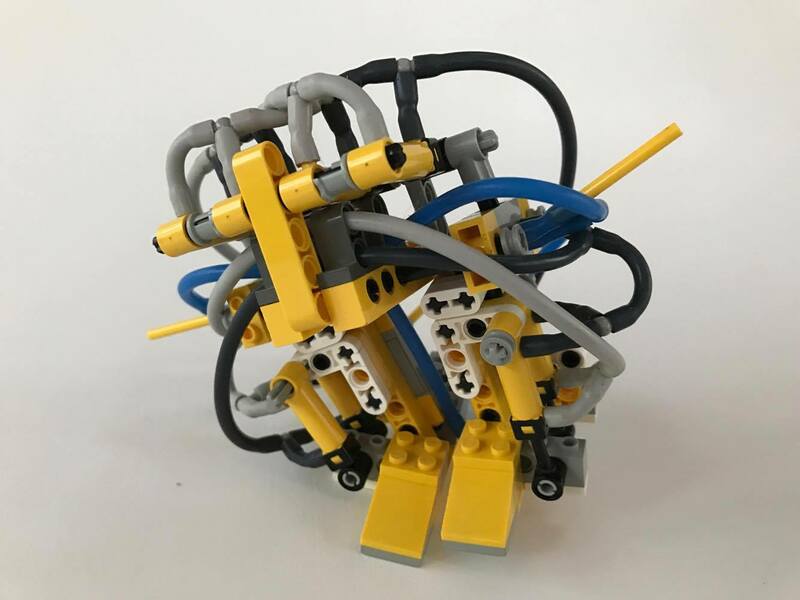 I’ve always had it in my mind to make a simple LEGO computer, using pneumatics for boolean logic, and technic bricks, and long pins as memory, but that would be huge! You can see many of Kevin’s creations on his YouTube Channel.